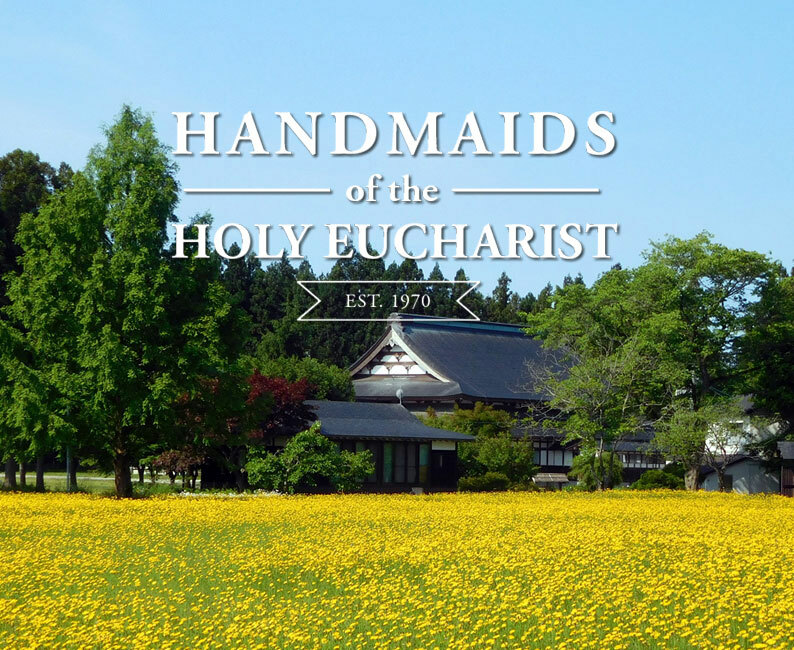 The Institute of the Handmaids of the Sacred Heart of Jesus in the Holy Eucharist, "Seitai Hoshikai," is a small institute of Catholic religious women leading dedicated lives of prayer and was established in 1970 by the late Bishop John Shojiro Ito of Niigata, Japan. Members make vows of Obedience, Chastity, Poverty, and follow the example set by the lives of Jesus Christ and Mary, in offering their lives to the service of God and neighbor. 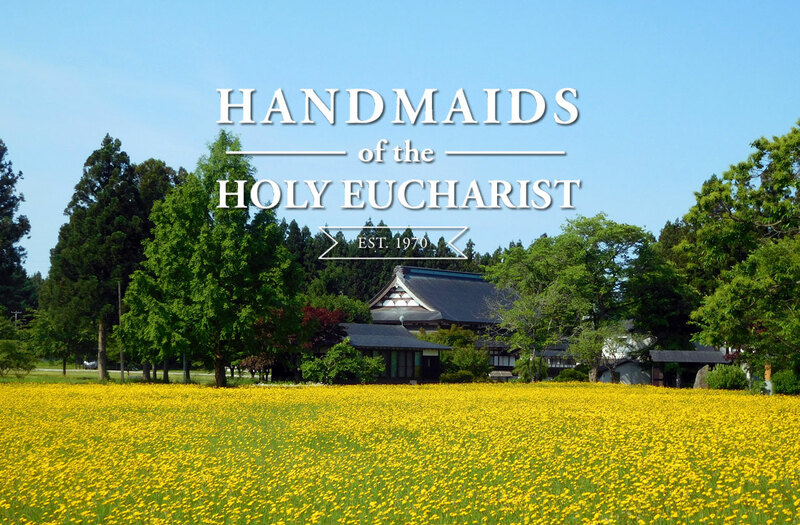 Seitai Hoshikai is comprised of sisters who reside at the Motherhouse in Akita, who lead a community life centered on prayer, and sisters who lead an apostolic life of evangelization among lay people in society. 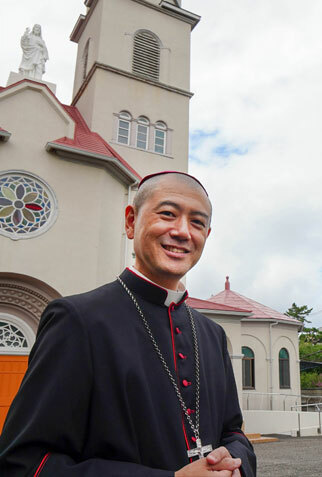 Seitai Hoshikai is indispensable place for Niigata Diocese as the space for prayer. Leaving from daily concerns and being with Blessed Mother, we may find peace in our heart and spend time of reflection in our faith. Church community has to have service of love and gospel witnesses, however, it has to have the space for prayer. The diocesan community needs not only parishes but also special place of prayer. Daily prayer offered by members of the Seitai Hoshikai and prayers of visitors would be the foundation of the activities of the diocese and also the one for the Universal Church. The life of Blessed Mother is model for us, Christians, as the life with the Lord Jesus Christ. We meet Blessed Mother at the Seitai Hoshikai. Through the miraculous fact of lacrimation of the statue of Mary has bee drawing so many people to gather here in the Seitai Hoshikai to be people of prayer. I hope many more people will visit the Seitai Hoshikai and continue to offer prayer through intercession of Blessed Mother and also find her as the model for our life. pleading for the coming of His Kingdom. Please receive this humble offering of myself. The chapel of Seitai Hoshikai, called Our Lady of Akita, was done in a Japanese "irimoya-juso-style" architecture which was built by Japanese temple building carpenters from Urano Domiya Kogei, Takasaki City in Gunma. 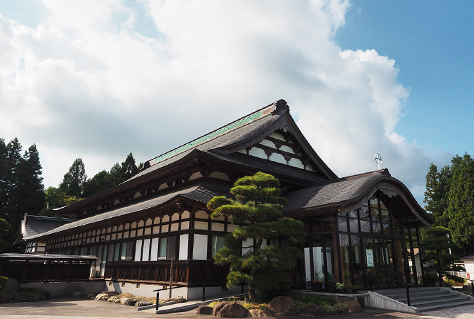 The reason this church was constructed in this traditional style was to convey to the Japanese people that the Catholic Church is universal and that Jesus Christ is the savior of all people—including the Japanese. 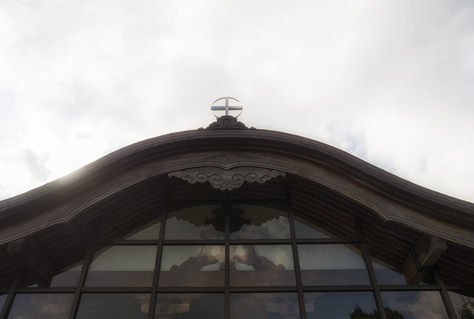 After 7 years of construction, the chapel was dedicated on May 1, 2002 to Mary, Redemptoris Mater, "Mother of the Redeemer." The statue of Our Lady of Akita is enshrined on the left corridor and the statue of Saint Joseph is on the right side. Work on the Japanese garden, dedicated to the Blessed Virgin Mary, started in the spring of 1974 and was completed on October 11, 1976. The circular promenade garden was completed not by professional landscapers but by novice laypeople. Trees were donated by friends from different places throughout Japan. The Garden of the Lamb is for meditation and prayer. The Way of the Cross was constructed through the center of the Garden and blessed by Bishop Francis Keiichi Sato of Niigata on August 18, 1994. 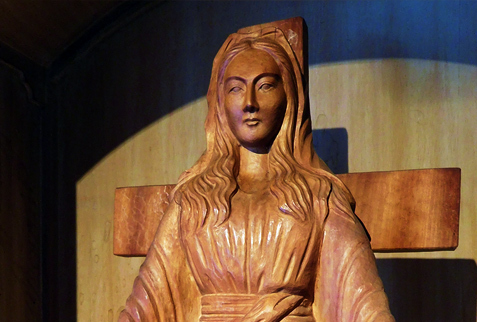 The statue of Our Lady of Akita was carved in 1963 by Mr. Saburo Wakasa, a wood sculptor living in Akita City. 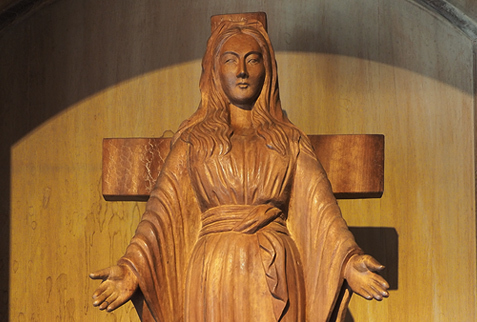 Mr. Wakasa carved "The Lady of All Nations," an image of the Blessed Virgin Mary which appeared to Ida Peademan in Amsterdam between 1945 and 1959. On the morning of January 4th 1975, tears started to flow from the statue. The "lacrimations" (shedding of tears) started this day and continued, sometimes on consecutive days and sometimes at intervals for a total of 101 times. This persisted until September 15th, 1981—the feast of Our Lady of Sorrows. Every time the statue wept, the sisters would pause to gather in front of the statue to recite the Rosary. Afterwords, a priest would wipe away the tears. The cotton swabs used were later sent to the forensic labs of Akita University and Gifu University for testing and were certified to be comprised of "bodily fluid." *Telling the driver 'Yuzawadai no Maria-sama' will help explain the destination. *Including transfer, it takes about 6 hours from Narita International Airport to Akita Station. ↓ From JR Akita Station to Seitai Hoshikai, please take a bus or taxi. ↓From JR Akita Station to Seitai Hoshikai, please take a bus or taxi. Copyright © 2017 Our Lady of Akita : Catholic Convent Seitai Hoshikai All rights reserved.